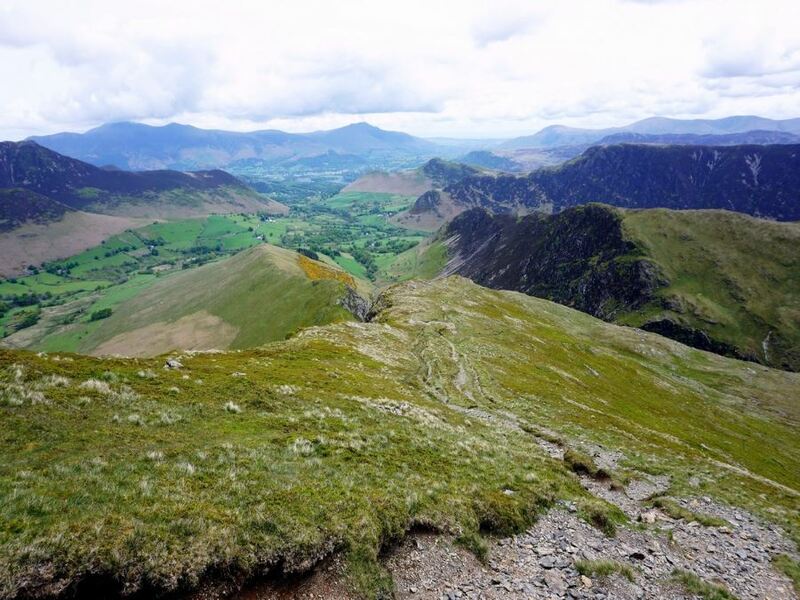 Did you know that all land within England that rises above 910 m (3,000 feet) is located in one relatively small area? Can you guess where? Well if you said the Lake District National Park you’re spot on! 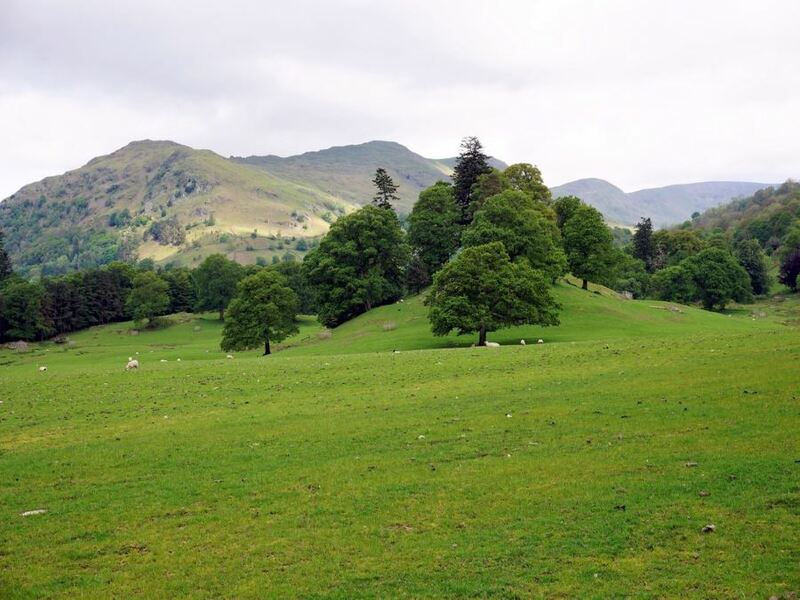 Commonly known as The Lake District, this is by far the UK’s most popular national park – visited by more than 15 million locals and tourists each year. Located in England’s northwest corner, it covers just over 2,300 square kilometers and is home to a wide variety of wildlife. The rolling mountains – known as “fells” – glistening lakes, rugged terrain and plethora of outdoor activities are just a few reasons why the region is so popular with outdoor enthusiasts. 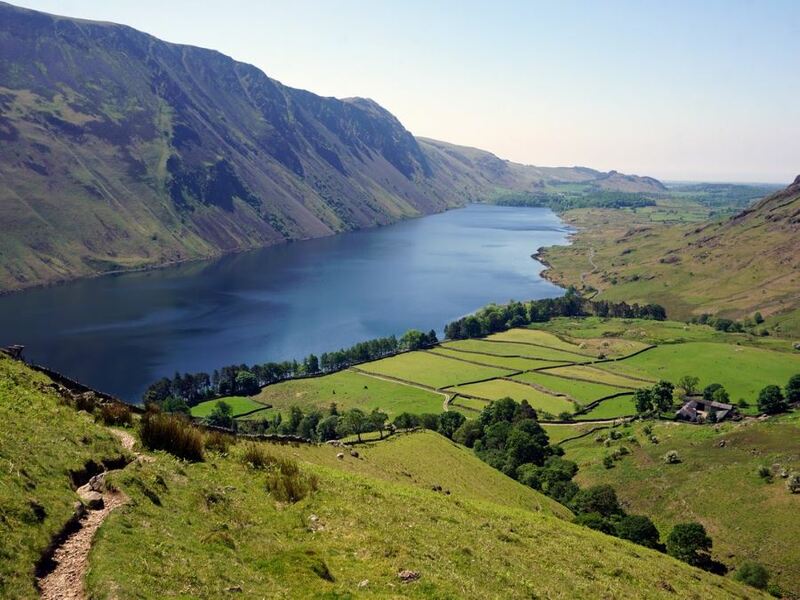 Cruise along one of the 12 largest lakes in England, stroll on the lengths of sandy coastline, hike to the top of the country’s highest peak – Scafell Pike – and wind down in one of the many restaurants, hotels or bars that cater to guests. 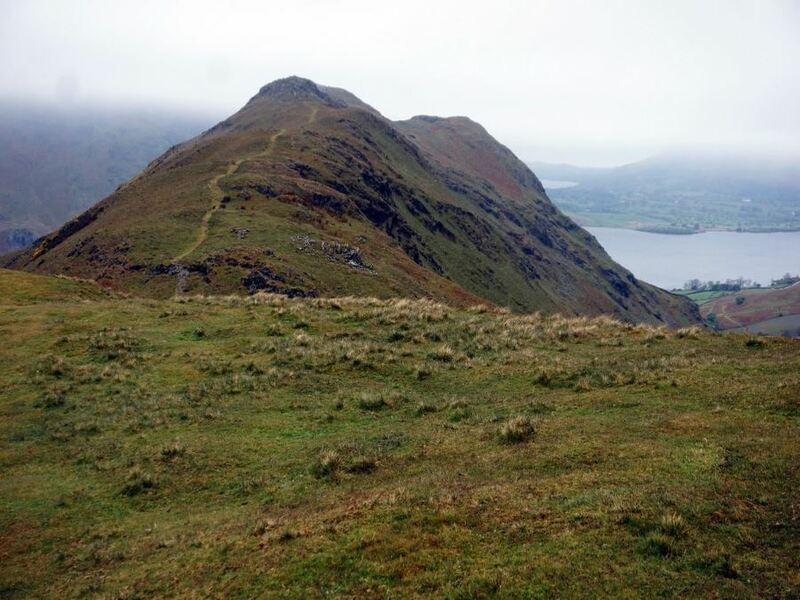 In addition to spectacular physical geography, the Lake District has long been associated with English literature of the 18th and 19th century. Today, as is common with other national parks in England, there are no specific physical borders blocking entry to any area of the park. As well, unlike national parks in North America, the majority of the park is owned by private ownership. More than half is categorized as agricultural land. 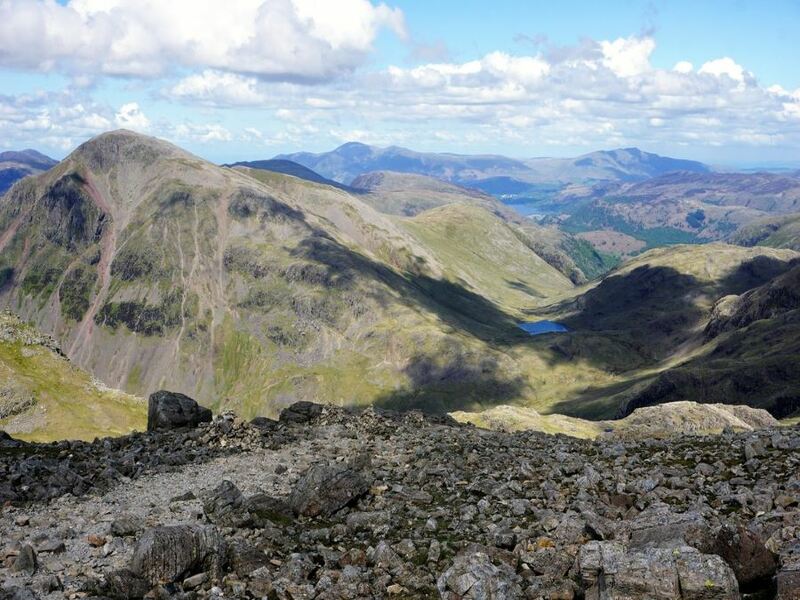 Here we’ll take you through the basic overview of hiking in the Lake District – including how to get there, where to stay, where to eat, what to see and what to watch out for. The closest major airports are Manchester Airport roughly 85 miles (135 km) to the south and Glasgow Airport 150 miles (240 km) to the north, though England is dotted with smaller airports all around, so check for best fares. It’s possible to rent a private car at both airports, which gives you the most freedom and flexibility to enjoy the area to the fullest. 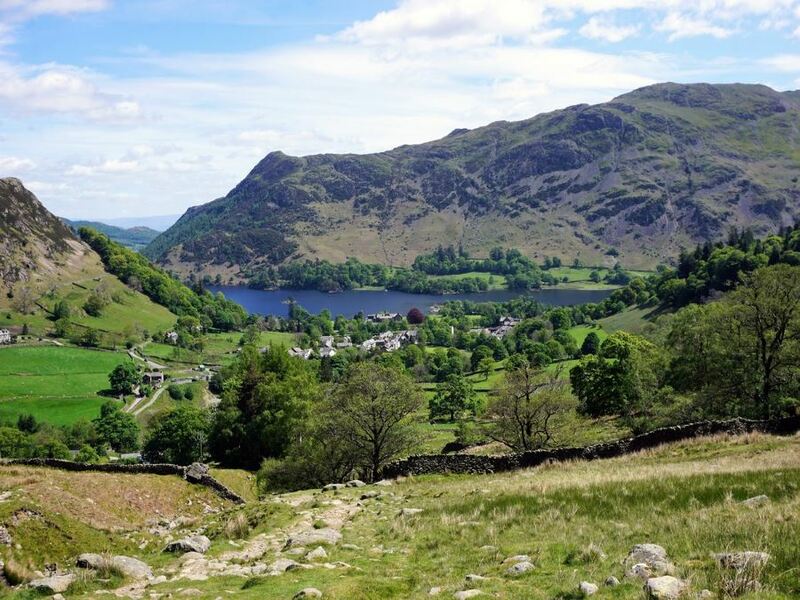 As well, from both airports, you can take the train to Oxenholme in the Lake District. It takes roughly 90 minutes from Manchester and just three under hours from Glasgow. For more information about public transport options to the Lake District, please click here. The Lake District is one of England’s wettest regions, and although the heaviest rainfall is typically reserved for early and later winter, sudden downpours are common throughout the year. Always bring layers and plan for wet weather. Furthermore, weather forecasts change dramatically, and your weekend of rain can turn into a sunny weekend overnight. Visiting in June, July and August will give you the best chance for sun. It’s also the time when the major festivals take place – but also when you’ll be sharing the spectacular landscape with thousands of other visitors. Expect the highest hotel prices at this time and you should show up in the morning for the popular museums and attractions, or expect to wait in a lengthy line. If you can go early in the spring (April and May) or hold off until September and October, seclusion will probably not elude you, however accommodation prices are much lower and the weather is still relatively mild. Coming in the fall will also guarantee stunning woodland colors. Winter in the Lake District is cold and wet, with snow at the higher elevations. Most of the attractions are closed and it’s difficult to hike without heavy-duty equipment. However, this is also the quietest and least expensive time of year – perfect for a cozy weekend getaway. Getting around The Lakes in your own car can be dramatic, some of the high passes are narrow, exposed and truly steep. This makes for exciting (or for some people Terrifying) driving. The roads are often narrow and some of the best are barely wider than your car. With this, local are comfortable in these roads and will often go 20 mph faster than you do. Pull over and let locals pass. Having a car also allows you to access some areas and hikes that aren’t well served by public transport. Beware if you have a car however, as parking costs can be dramatic, and many machines still only take change. An £8 parking fee is not unheard of. 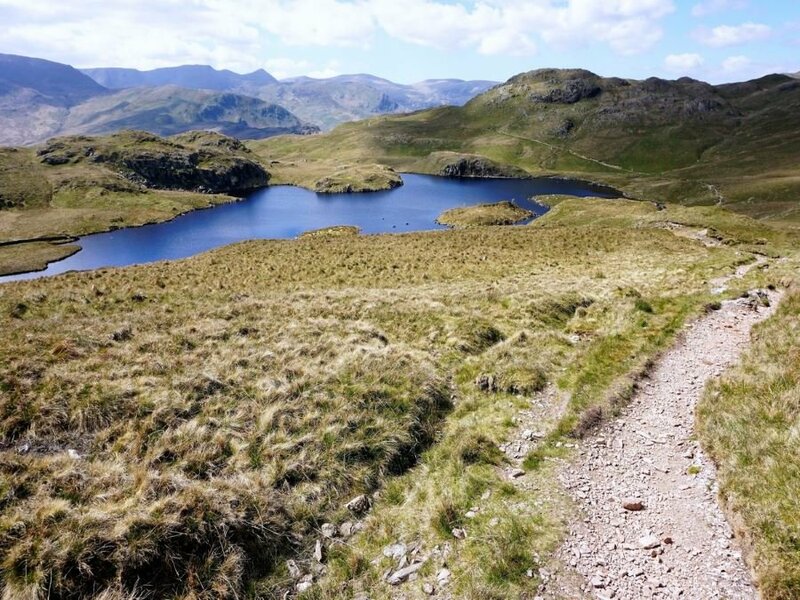 If you don’t have a car, many of the popular areas in the Lake District are easily accessibly by public transport – bus, boat or train – as well as on foot or by bicycle. It’s encouraged to leave your car at home, both for environmental reasons, and the fact that parking in high season is more than a headache! Find out more about public transport in the Lake District. 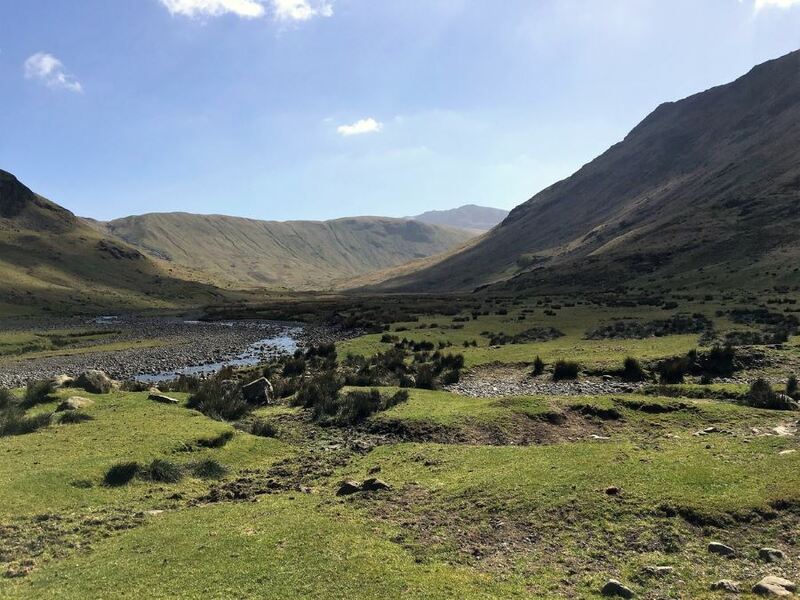 The are TONS of accommodations options within the Lake District including, hotels, cottages, camping (and glamping), bed and breakfasts, log cabins, luxury hotels, caravan sites, country house hotels and inns, spas and more. For those on a budget, youth hostels, particularly the YHA Hostels are a popular option to stay on the cheap. You may want to organize where you’ll stay by which area is closest to the sites you most want to see. Public transportation can be limited to just the most popular areas, so not all spaces are easily accessible. Ambleside is a popular town to stay in. With a rise in high quality restaurants, this traditional town – mostly constructed by local stone – seems to morph into the surrounding landscape. It does, however, suffer from overcrowding in the summer months. Another popular town to stay in is Grasmere. Located on the shores of a quaint tree-line lake, the idyllic setting is a favorite for literary fans, as it was once the home of influential English poets. For a good selection of accommodation and amenities, without the largest crowds, check out Keswick. It’s located next to the mountains of Kiddaw and Blencathra on the scenic shores of Derwentwater. There are other lakes nearby and with cobblestone streets and a rustic charm – it’s one of our favorite places to stay. 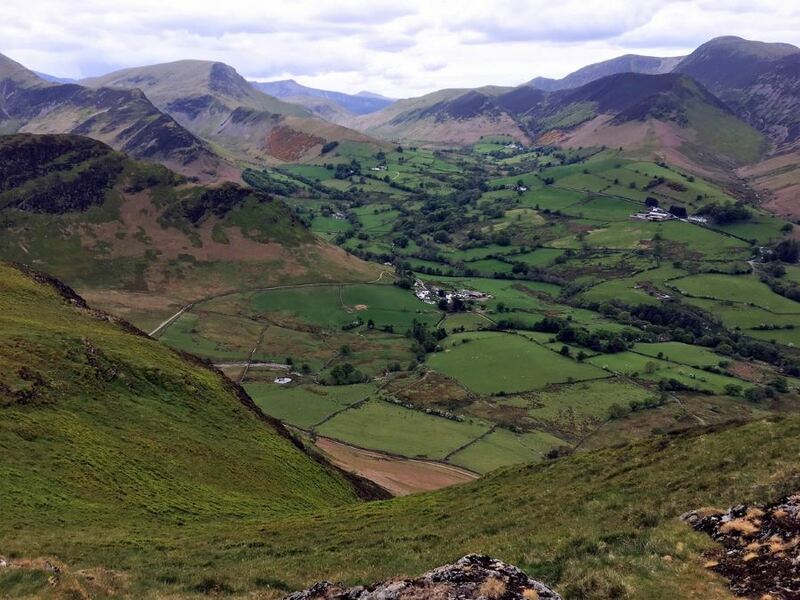 For more information on choosing a place to stay in the Lake District, please click here. Deciding where to eat in the Lake District depends on where you find yourself. There are a HUGE amount of gastronomic options to choose from. Trends in recent years have shifted towards an increased emphasis on local ingredients, grown in a sustainable manner with an emphasis on quality and taste. Plus, with more than half of the region classified as agriculture, fresh ingredients are abundant. You’ll find a mix of cuisines – from traditional English fare to food from all over the world. Craft breweries have been popping up more frequently and the county of Cumbria (where the district is located) has the highest concentration of microbreweries in all of Britain. Oh, and if you’re looking for fancy, the district is also home to four Michelin star restaurants. If you’re looking for food to go, check with your B & B about a packed lunch, or pick one up at a local delicatessen. Check out the most recommended restaurants in the Lake District here. 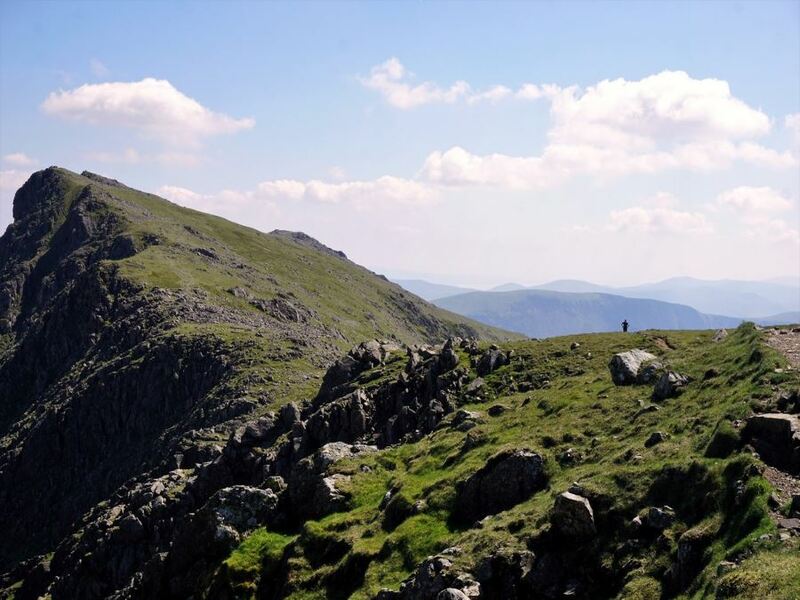 As one of the most popular outdoor destinations in the UK, the Lake District boasts a wide variety of both indoor and outdoor activities for people of all ages and interests. When planning your trip, start off by checking their Calendar of Events to see if there is something that peaks your interest. This includes guided hiking walks but also Country Shows and Festivals. If the weather is nice, what better way to explore the Lake District than on the water? You can rent private boats through a mix of companies, join a guided steamer or launch trip, go swimming in the pristine lakes, check out their local rafting, kayaking and canoeing options, head out for a day of fishing and more! For complete information check out their guides water activities. For a taste of history, check out the archeological sites or take a guided cultural and heritage tour. 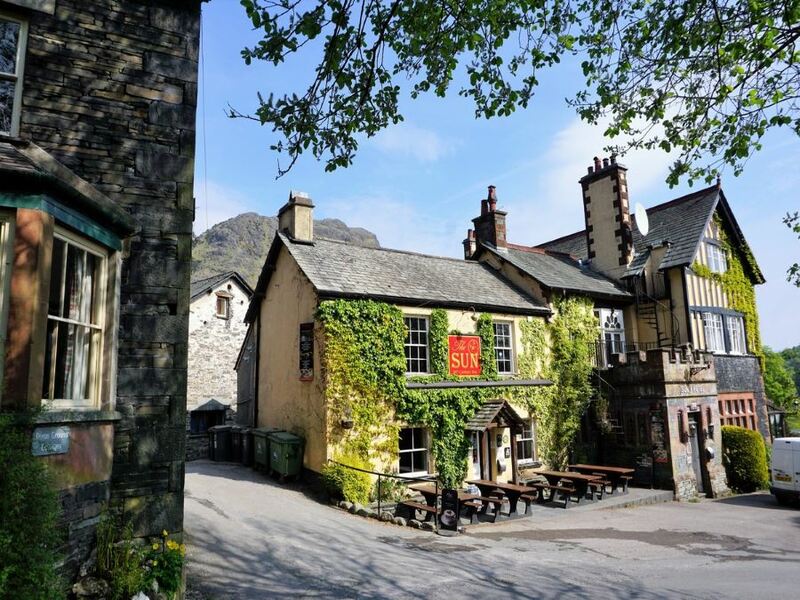 Another great option is to check out the literary history of the area by visiting places such as Beatrix Potter’s home known as Hill Top, or Dove Cottage the home of poet William Wordsworth. Weather can change quickly and flash flooding may occur. 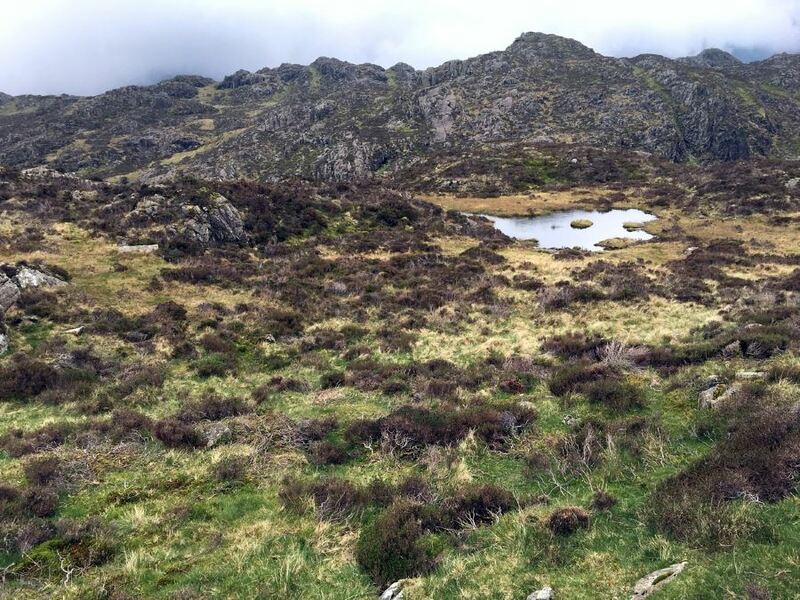 The hiking routes are not signed, and with so many paths it is easy to get lost, especially as there is often no mobile phone signal outside of major towns. Take a map with you! The hiking routes can be very scrambly and exposed. Don’t assume that because there is a hiking line on a map that it is a casual stroll, some are downright scary. Roads are narrow, so narrow that only one car can fit. In general, take care and get comfortable driving on narrow roads before attempting high passes. Also remember that the car going uphill has priority over the car going downhill. The hiking trails can be very slippery when wet or icy! Always bring a pair of rain boots and extra layers if hiking in winter. 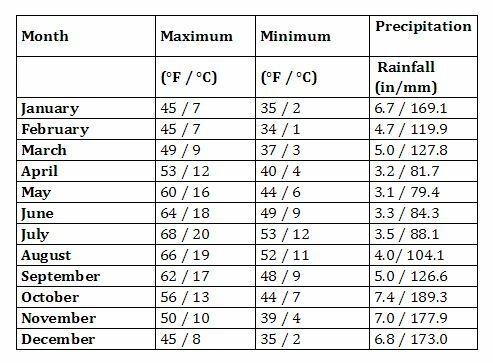 Weather changes, rain gear should be in your backpack every day.